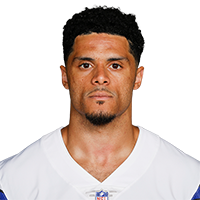 Smith signed a reserve/future contract with the Cowboys on Friday, Ian Rapoport of NFL Network reports. Analysis: Smith spent the entire 2018 season as a free agent after being released by the Jets in July. The 2015 second-round pick out of Ohio State has recorded 10 receptions for 135 yards and a touchdown across 14 games in his NFL career. A pair of ACL tears have done damage to Smith's former explosiveness, and he likely will need to impress in other areas this offseason for any chance of carving out a depth role. Smith worked out for the Texans on Tuesday, Aaron Wilson of the Houston Chronicle reports. Analysis: Smith, a 2015 second-round draft pick out of Ohio State, has been a free agent since getting released by the Jets in July. Houston could be looking for additional depth at wideout in the event Keke Coutee's hamstring injury sidelines him for this week and beyond. 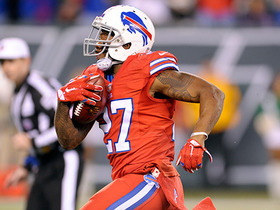 Smith has recorded 10 receptions for 135 yards and a touchdown over 14 career NFL regular-season games. 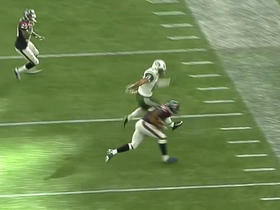 Jets quarterback Ryan Fitzpatrick sends it to Devin Smith for a 16-yard touchdown, his first of the season. 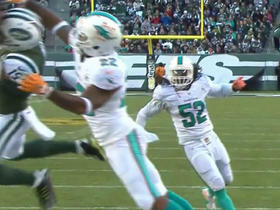 Jets Ryan Fitzpatrick pass intercepted by Dolphins Zack Bowman.